Ever Oasis is unabashedly good-natured. Though you wield a sword, it rarely comes out, and you’re reminded frequently that you can run away. There is a recurring rainbow motif: Text is multicolored in Roy G. Biv hues; you earn something called “Rainbow Power;” an actual rainbow in-game looms over your village. The game revolves not around destruction but building community. You aim to help people. There is a metric in the game called a “Smile Meter.” This is not named ironically. The game is a cheery antidote to an industry known to propagate violence in the name of fun, but if you’re a gaming diabetic, be forewarned: This is a sweet pill. Nintendo is known to create ooey-gooey games with candy-colored aesthetics, but it’s rare for them to so brazenly wear their heart on their sleeve; often there’s a hint of malice underlying the surface-level saccharine. Even Kirby and Yoshi, the company’s two most adorable characters, both swallow enemies and, in one case, defecate them out, while in the other, consume and absorb their essence. In Ever Oasis, your character is part plant, and the closest thing to a seedy underbelly is in his heart: Characters literally plant bits of their heart to grow shops and buildings. The main conceit is to build up a series of Oases in a vast desert world that has been taken over by some malevolent force called Chaos. These safe spaces are havens for travelers, who visit and eventually reside in your town. The point is to build a habitable and happy place for strangers who then put down roots, literally and figuratively, by planting their heart-seed things and contributing to the larger whole in the form of unique shops that offer your growing party new abilities, thus helping you on your quest to vanquish Chaos. 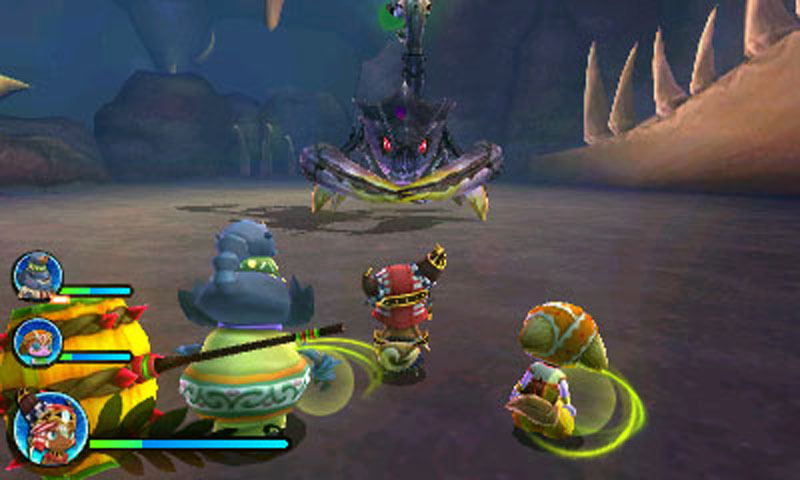 Grezzo is mostly known for remaking, under Nintendo’s guidance, the 3DS versions of two Nintendo 64 classics: The Legend of Zelda: Ocarina of Time and Majora’s Mask. You get the feeling this was a form of payment for a job well-done; or, more charitably, the end result of an apprenticeship. But the student has not quite bested the master just yet. Indeed, much of this game makes you appreciate the level of polish Nintendo puts into its marquee franchises. Simple elements like transitions between in-game action and dialogue sequences feel a half-note off, segueing between the two with a weird jitter that breaks the flow. Other elements feel lifted verbatim then remixed, like an English student creating a sonnet from his professor’s sestina. When a villager is satisfied his heart gauge fills: The icon looks exactly like a Zelda heart container. A little blue orb follows you around, inside of which is a projection of a water spirit that acts as your guide named Esna, which is almost an anagram of Na’vi, the helper nymph from Ocarina of Time. Part of the lore is a giant tree. But the game does in time create its own rhythm which varies quite differently from that of a traditional 3D Zelda game. Once you leave your town, you’re thrust into the dangerous wild of the desert with hidden caves and roaming creatures. Villagers send you on quests for items which often dovetails with defeating an enemy—but do it briskly, as once night falls creatures become much more difficult to handle. It all sounds so familiar—a bevy of “fetch quests,” punctuated with the drip feed of leveling-up—but the mixture of RPG townies and light action sequences combines to take the more interesting aspects of both to create something, if not new, then satisfyingly conjoined. The first 3D Zelda titles often leaned on transparent clues or signposts to help you on your way. Being some of the first three-dimensional adventures back when the rules were still being set, this made sense. But Grezzo seems to have taken this tutorializing as a de facto genre staple and not a necessity of a past era. Not only is your map constantly updated with a new shining pin that leads you toward your next objective, but villager chatter prods you with redundant information. Early on you get a sapling as a reward. “It loves water!” the giver tells you. When you open your menu to read a description of the object, it explains that it grows when placed in water. Talk to Esna with the object in your possession and she exclaims how the sapling would go great near a pool of water. “Hey, don’t you have a pool of water in your house?” she reminds you. Below, on the touch-screen map, a beacon shines above your house’s watering hole. The 3D adventure genre is primed for a game to swoop in and upend these conventions: to point you a dozen times toward an objective and then pull the rug out from under you. Titles like The Stanley Parable attempted this for first-person games, making us question the rules we’ve been following for years. Had I dropped the sapling into the water and it immediately sunk to the bottom, ruined, I would have smiled and applauded Grezzo’s courage. But Ever Oasis is no trickster mirage. I drop the sapling in the water and it grows tall, becoming a kind of organic crafting machine with which to create new tools throughout the game. Given its importance, I understand the double- and triple-underlining. But I wish we were allowed a bit more autonomy in exploring this sandy paradise. Maybe this is the curse of Breath of the Wild, the most recent Zelda game, and one that makes good on its titular promise. Any future game with a hint of Zelda DNA will immediately be connected to and compared with Nintendo’s open-air free-for-all. Grezzo’s original attempt does not deserve such cruel comparison. Better to see it as an extension of 3DS’s growing stable of RPGs that build on past traditions: Fantasy Life and its choose-your-own-adventurer character progression; Etrian Odyssey IV and its concurrent dungeon-mapping; Persona Q and its sequel crossover storyline (like those episodes when characters from Family Matters visit the house of Step by Step); Fire Emblem Awakening’s merging of classic strategic warfare with romantic comedy. Ever Oasis weds the oft-ignored appeal of town-building and resident management to the Good vs. Evil narrative we’ve encountered time and again, both strands strengthening the other and giving us a reason to venture out into the sand. Grezzo is headed up by Koichi Ishii, director of SNES classic Secret of Mana. His studio’s latest output bears some similarities to his past work: Both offer control of three player parties with varying strengths and weaknesses; both are steeped in natural beauty as opposed to so many other games’ fascination with degradation and rust. When I think of Mana I think of its lush, verdant greens. Oasis in many ways is diametrically opposed: Here we have a landscape dried up and parched, the earth below blowing in the wind. But there is something inherently satisfying in helping the parched citizens of a desert thrive. In an industry that so often asks you to destroy your surroundings, a game requiring you to build them up is like a glass of cool water on a hot day. 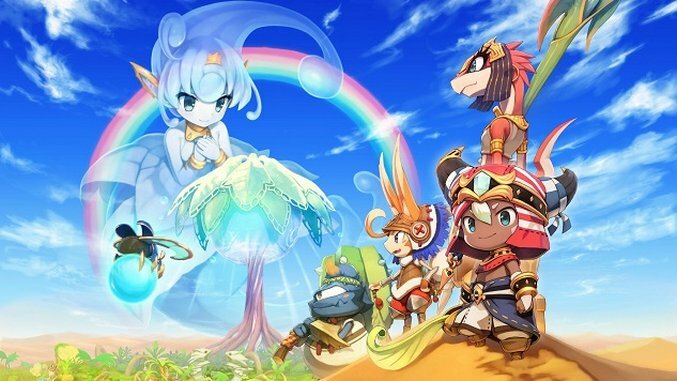 But Ever Oasis is the videogame equivalent of bottled water whose label shows mountain springs even though, in truth, it’s filled with local municipal tap. It’s not as fancy or original as it would like you to think. But it quenches just the same. 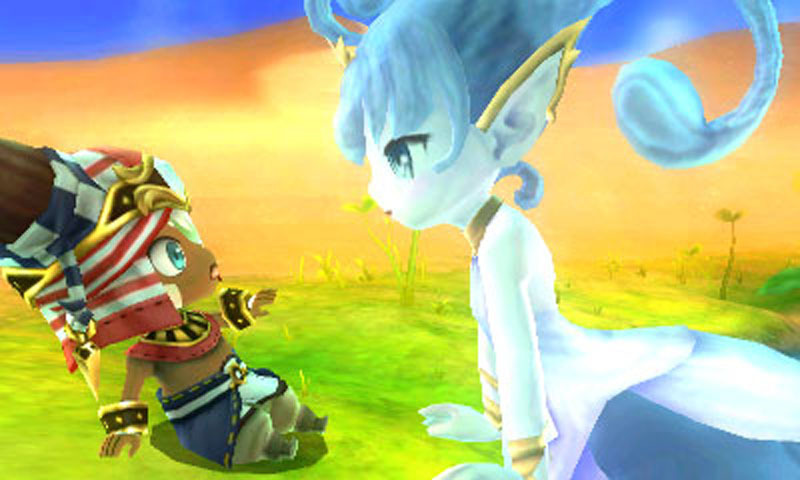 Ever Oasis was developed by Grezzo and published by Nintendo. It is available for the 3DS.